On the surface, it sounds like a simple question, the kind of question you might hear in a pub quiz with an answer you will forget soon after hearing: “What is the southernmost town in the world?” Yet this is a question with no clear answer; in fact, the search for a simple resolution to this conundrum is a surprisingly political one, pitting two of Latin America’s great rivals – Argentina and Chile – against one another. It is also a question that conceals a fascinating story of costly vanity projects, covert operations, and petty squabbling on a geopolitical scale. 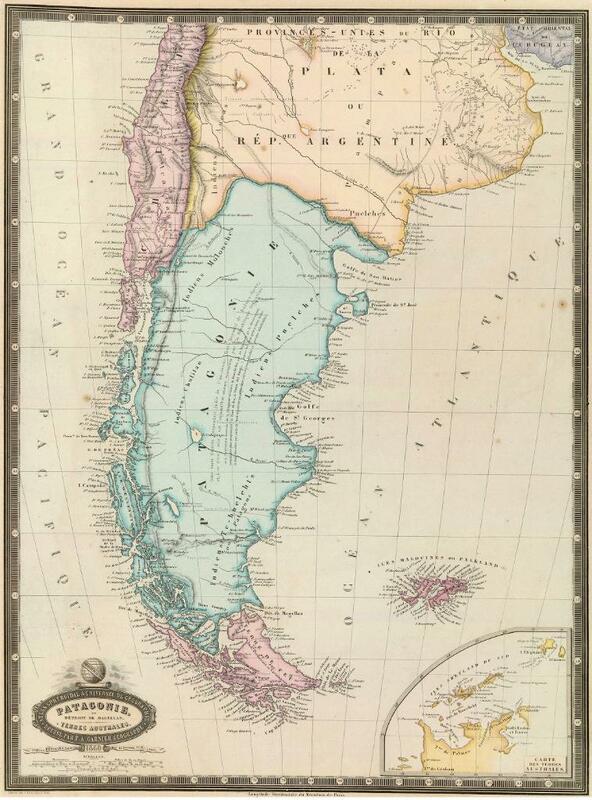 This map from 1860 shows the state of play between Argentina (yellow), Chile (pink) and the contested area of Patagonia (blue). Since the time of independence, Argentina and Chile followed distinct and contentious paths, dictated by the natural barrier of the Andes Mountains. Still, both countries enacted a strikingly similar set of expansionist policies, violently colonising Patagonia in the southern reaches of the continent, and committing a protracted genocide against its diverse indigenous peoples. In spite of the area’s remoteness and the difficulty of its geography and climate, both countries continued their bloody push southwards, intent on legitimising and enforcing their claims to this vast stretch of South America. While the land itself was considered mostly worthless, the real goal was the Strait of Magellan, at the very southern tip of the Americas, and ultimately control over its lucrative shipping routes. To this end Chile built the first real contender for the title of southernmost town – Punta Arenas – on a sandy point overlooking the island of Tierra del Fuego. Established as a military fort in 1843, before moving to its current site in 1848, the chilly settlement soon became home to the castaways of Chilean society: prisoners, misbehaving soldiers, and immigrants. Yet in spite of the motley crew inhabiting the frontier town, it served its purpose beautifully. In 1881, faced with the threat of Argentina joining Peru and Bolivia in the War of the Pacific, Chile decided to simply appease Argentine territorial claims. As a result, Argentina now occupies the vast majority of the plains of Patagonia. Nevertheless, the presence of Punta Arenas ensured that Chile would be able to keep its tenuous grasp on the strait. 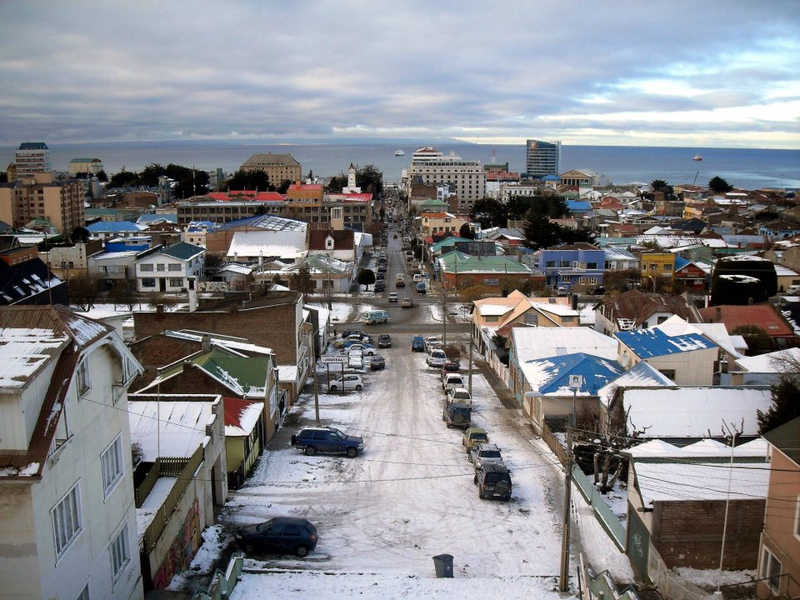 In this wintry scene, the famous coloured roofs of Punta Arenas lie hidden beneath a blanket of snow. Photo by Breathe. While these negotiations were underway, a flurry of rumours began to spread that vast amounts of gold were to be found throughout Tierra del Fuego. Before being overshadowed by the larger Klondike gold rush on the opposite end of the Americas over a decade later, thousands of miners flocked to the area, with Punta Arenas serving as the port of call for countless expeditions. Even when the gold rush receded, many stayed, and the local economy gradual shifted towards sheep-rearing and eventually petrochemicals. As a result, the city still has a surprisingly high population for its latitude; with over 127,000 inhabitants, it is roughly the size of Cork city. This is also its main argument for claiming the title of “southernmost city in the world”, although there may be other settlements further south, Punta Arenas is the only undisputable city. And while it is now home to urban sprawl, duty-free zones, and mega malls, it still carries the marked characteristics bestowed upon it by the inhospitable environment. Ropes are often strung up throughout the city centre to help pedestrians manage the high winds that can reach up to 130 kilometres an hour. Locals affectionately refer to their hometown as “The City of Red Roofs”, a result of the durable, all-weather paint that coats and protects the corrugated metal from the salt air and driving winds. Yet in spite of its verified metropolis status, Punta Arenas is often overshadowed by its better-known Argentine cousin to the south – Ushuaia. With just over 60,000 inhabitants, Ushuaia’s population is substantially lower than Punta Arenas, but at 250km to the southeast, it is also much farther south. Still, this lack of population has not stopped the Argentine government from granting Ushuaia city status, and the city holds a surprising amount of governance infrastructure. 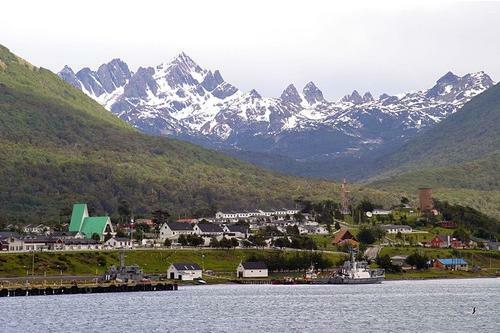 In fact, Ushuaia is the capital of the entire Tierra del Fuego province, the larger, more northerly city of Río Grande being conspicuously overlooked. 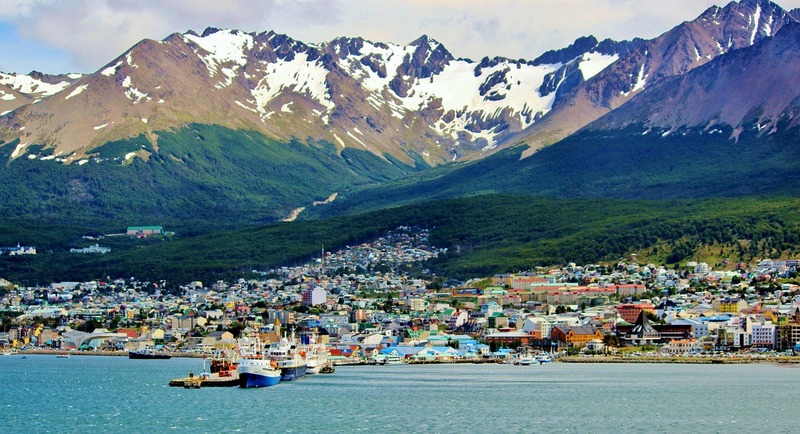 Ushuaia is the only city in Argentina that lies west of the Andes. Yet perhaps the most important factor in deciding whether Ushuaia can claim the title of southernmost town in the world is the fact that it is generally recognised as such by the flocks of trekkers and tourists that journey to its shores. Ushuaia’s official motto is the rather ominous sounding, “Ushuaia, end of the world, beginning of everything”, and the moniker is used by countless businesses, tour operators, and landmarks throughout the city and its environs. The notion that Ushuaia is the southernmost city in the world has certainly been a major factor in drawing so many tourists, but perhaps equally important is its position as a base camp for voyages even farther southward – towards Antarctica. Ushuaia has long served as a base camp for Argentina’s expansionist aspirations as well. Not content with merely controlling nearly all of Patagonia, Argentina contended that, under the 1881 treaty, it was entitled to access both the Atlantic and Pacific coasts of the strait, or at the very least, that Chile should not have access to the Atlantic. While it may sound petty, these supposed loopholes in the treaty led to a series of serious confrontations and tensions between the two countries from 1904 to 1984, known collectively as the Beagle Conflict (named for the Beagle Channel that separates the mainland from Tierra del Fuego). Gradually escalating from diplomatic posturing, various border incidents over straying fishing boats eventually led to the deployment of Argentine and Chilean military forces. The so-called Snipe Incident is one such example of how quickly these trivial quarrels could escalate. In January 1958, Chile built a lighthouse on the tiny uninhabitable Snipe Islet in order to improve navigation through the treacherous waters. In April, Argentina alleged that Chile had violated its sovereign territory. The lighthouse was torn down by the Argentine navy and a new one was erected in its place. In May, the Chileans dismantled the Argentine lighthouse, brought it to a nearby town, recovered the remnants of the original Chilean lighthouse, and built a third lighthouse on the site. The next day the Argentine destroyer San Juan shelled the new Chilean lighthouse, and the islet was occupied by Argentina. Although the bickering/crisis was eventually resolved by a truce and a return to status quo, both countries secretly engaged in a military build-up to better prepare for future border tensions. A reconstructed battle plan for Argentina’s invasion of Chile. Had it gone ahead, it is likely that Chile would have been able to withstand the assault. Image by Createaccount. After two decades of negotiations failed to bring a lasting solution, the closing days of 1978 almost saw the outbreak of full-scale war between the two countries. Under the absolute control of brutal military dictatorships, neither Augusto Pinochet’s Chile nor Jorge Videla’s Argentina were prepared to back down. Faced with the result of an international arbitration in favour of Chilean claims, Argentina poised to launch a major offensive. 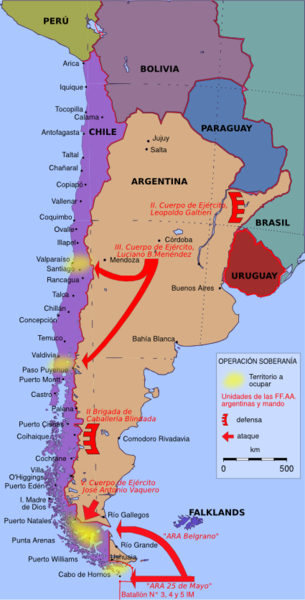 Involving the amphibious invasion of Chile’s southern islands in conjunction with the bisection of the country through the occupation of either Santiago or the southerly Los Lagos region, the plan was codenamed Operación Soberanía (Operation Sovereignty). While Argentina held the upper hand in terms of the size of its military, most analysts generally agree that Chile would have likely won out in the end – thanks to its well-developed navy, its detailed intelligence reports, its established lines of supply and communication, the defensive advantages of the proposed battlefields, and the discipline of its military. Nevertheless, Argentina pushed forward with its plans, staging troops and placing both countries on the brink of all-out war. It was only due to heavy fog on the planned day of invasion and a last-minute Papal mediation that the uneasy pace was maintained. Although the plan was an open secret, much of the details are still murky, and it remains unclear whether Argentine troops ever crossed over into Chile at all. Operación Soberanía continued to cast a dark shadow over Argentine-Chilean relations until the Beagle Conflict’s eventual resolution in another Papal mediation in 1984. In Chile, it was a major factor in Pinochet offering Britain intelligence support during the Falklands War, while in Argentina, Junta member Basilio Lami Dozo boasted in 1982 that once the Falklands War was won, the Chileans “would be next in turn”. The failure of both operations eventually contributed hugely to the collapse of Argentina’s military regime. Each July, Puerto Williams hosts a six-day Festival de la nieve – The “Snow Festival”. Photo by Dentren. Had Operación Soberanía gone ahead, Chile’s Isla Navarino would have been a likely target for Argentine occupation. Lying just across the strait from Ushuaia, Isla Navarino is the southernmost of South America’s islands to hold a permanent population. Centred on the town of Puerto Williams (with a population of around 2,900) the southernmost settlement of all the Americas is the tiny fishing village of Puerto Toro (with a mere 36 inhabitants). Clinging to the icy fjords between jagged snow-capped peaks, Isla Navarino, and indeed all the contenders on this list, resembles Norway, Scotland, or Alaska far more than the sweltering deserts in the far north of their respective countries. Yet in this corner of Latin America, the chilly Andes Mountains define daily life – making a massive impact on everything from transportation to architecture to the weather. 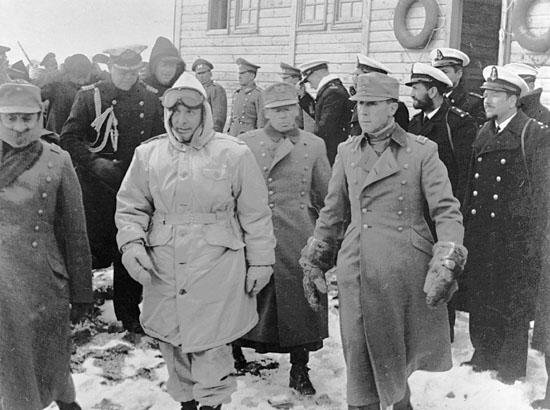 In order to ensure that the base would remain untouched, Chilean president Gabriel González Videla personally opened Antarctica’s Base General Bernardo O’Higgins Riquelme in 1948. But the Andes don’t technically end in South America. In fact, they continue through the icy waters of the Southern ocean before re-emerging as Antarctica’s “arm” – the Antarctic Peninsula – that reaches out towards Chile and Argentina. This quirk of geography has formed the basis of these countries’ claims to the Antarctic continent. Throughout the first half of the 20th Century even this freezing desert continent was the subject of colonial aspirations. The British Empire was the first to lay a claim in 1908, although its dominance was later challenged by France (in 1924) and Norway (in 1931). Not wanting to be overshadowed by its distant competitors and taking advantage of the calamity of the Second World War, Chile laid its own claim to the continent in November 1940, partially overlapping with British Antarctica. Pushing its own way in, Argentina asserted yet another claim in 1943, overlapping entirely with Britain’s and partially with Chile’s. By this stage, Antarctica was becoming crowded, and tempers began to flare. Flags and plaques were put up and torn down, terse diplomatic exchanges abounded, and Argentine soldiers even fired the only gunshots ever fired in anger on the continent, over the heads of a British expedition in 1952. Faced with these mounting tensions, the British eventually sued for peace, and laid the groundwork for the 1959 Antarctic Treaty, which established Antarctica as a protected scientific preserve. Given that Antarctica is the world’s coldest, driest, and windiest continent, it may be surprising that these countries were so eager to add it to their territories. However, Antarctica is home to many resources, some of which are already ripe for exploitation (its rich fisheries for example), and some of which still remains locked under the ice (like its estimated 200 billion barrels of oil). Of increasing importance is its strategic value; its clear skies, free from interference, offer unparalleled satellite and radio surveillance, and allow for the swift deployment of remote weapons systems. Above all however, and much like the title of southernmost settlement itself, the biggest driving force behind this scramble for Antarctica was sheer nationalism. 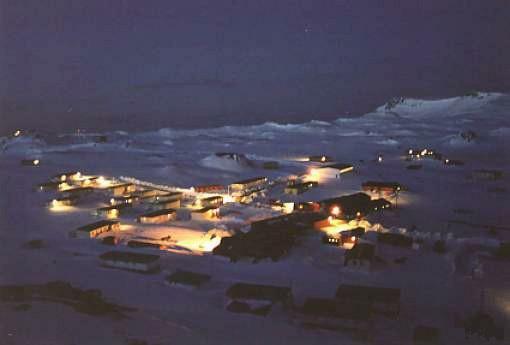 Base Esperanza. Photo by Andrew Shiva. It was this that also drove the establishment of two permanent civilian bases, the only such settlements on the continent: Base Esperanza and Villa las Estrellas. Founded by Argentina and Chile respectively (Esperanza in 1953, Estrellas in 1984), these two stations are home to a surprising amount of creature comforts. For the 55 permanent residents in Esperanza and the 80 in Estrellas, their governments have provided something akin to a charming village lifestyle, complete with radio, internet, television, a post office, a hostel, a gym, a school, and a state-of-the-art maternity ward. This last point is where our story takes a turn for the even stranger. Villa las Estrellas. Photo by Chikomario. In 1977, while his country was still vying for control of the Strait of Magellan with Chile, Captain Jorge Emilio Palma was in charge of the Argentine detachment at Esperanza. Taking the base’s motto of “Permanence, an act of sacrifice” seriously, his wife Silvia was left to take care of their three children alone, all while seven months pregnant. Ever the keen expansionists, this gave Argentina’s military government an idea: bring Silvia to Antarctica, let her give birth to an Argentine citizen on the continent, and shore up their claims to that massive chunk of ice. The entire Palma family were airlifted to the base, and on a balmy Saturday afternoon in early January (at three degrees above freezing) Emilio Marcos Palma became the southernmost birth in the world. Outlandish though it was, this led to a baby arms-race, and in 1984, the first Chilean citizen was born in Antarctica (Juan “The Penguin” Pablo Camacho). 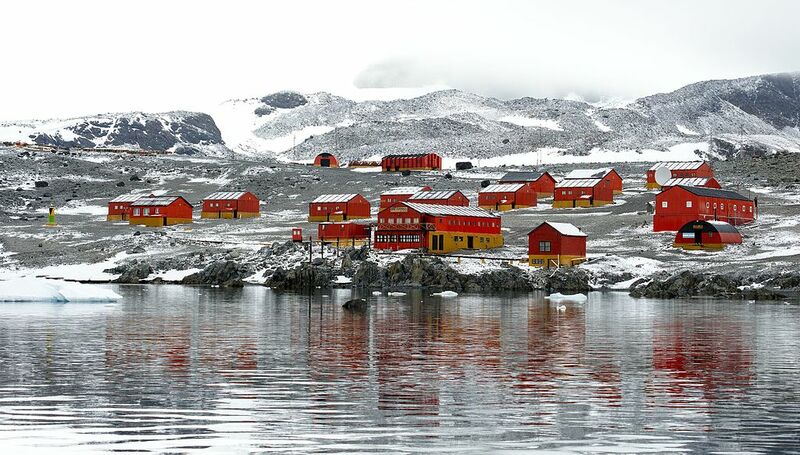 In total, 11 babies have been born in Antarctica: three to Chile, and eight to Argentina. But who’s counting? So even in this icy, remote corner of the world, the battle for the planet’s southernmost town rages on. For each of the contenders, a compelling case can be made and dispelled, reasons brought up and torn down, criteria changed and re-arranged. Above all, this story shows that all these attempts to boost national pride are underscored by a clear petty competitiveness. If there is any answer to the enduring question of southernmost town in the world, it is is yet another questions: What do you think? Although it deserves to be said – Argentina’s Esperanza Base is about 167 kilometres to the south-south east of Villa las Estrellas. Here’s hoping it will be more magnanimous in victory than in competition.